If you followed me on Twitter then you probably know that I've waited for this game to be released in the US for a really really long time. 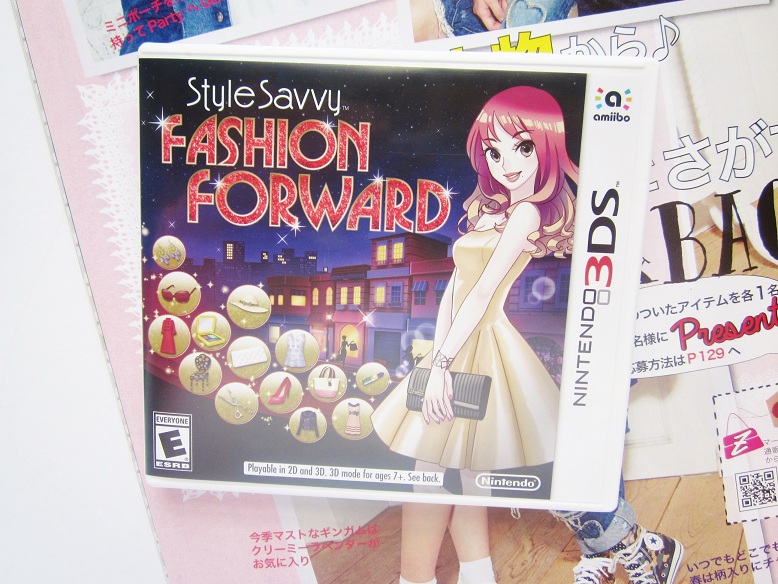 I first heard of this game because I was a fan of Style Savvy: Trendsetters (It was my first 3DS game btw) so when I saw an advertisement for the newest installment of the game I became super excited! However, I noticed that the game was a Japanese releases date. The game seemed so kawaii that I never thought the game would be released in the states so I lost hope early on. However, I regained hope when I heard that the game was going to be released in Europe and Australia (That was in November 2015). Fast forward to late summer we finally got a release date for North America! 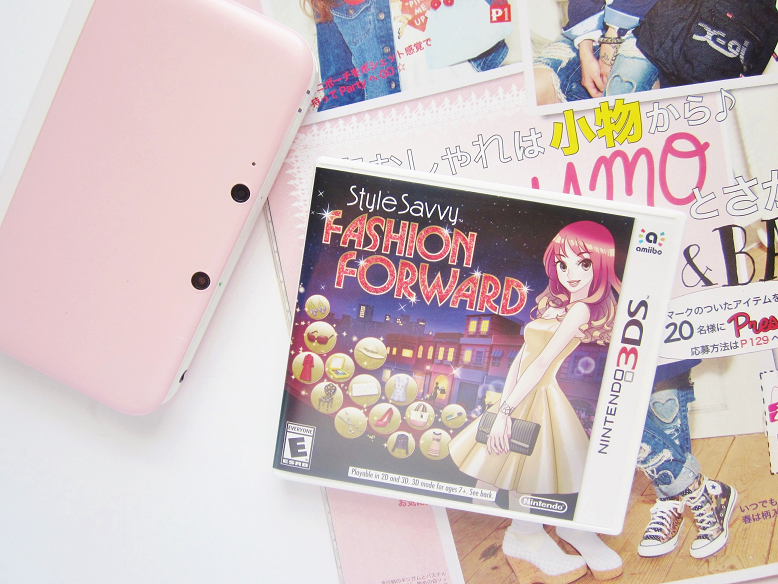 So after waiting over a year I was finally able to play Style Savvy: Fashion Forward! You start the game off as a new resident in town. After you help a few townsfolk with there outfits, makeup and hairstyle you eventually the go-to fashionista and beautician of the city. You then open up your own boutique. 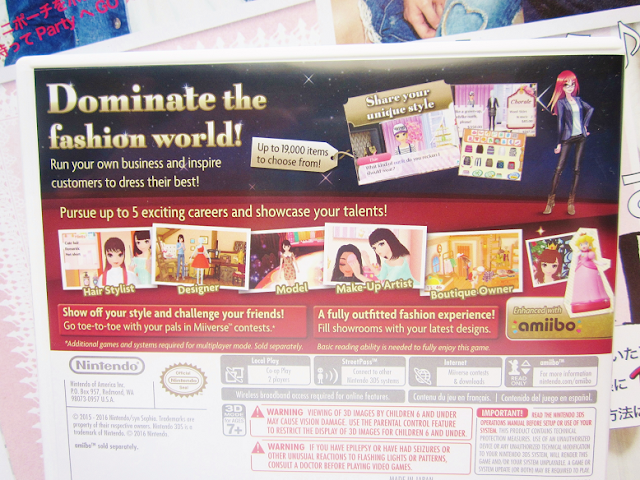 As you play and unlock the game you can later become a makeup artist, hairstylist, model, home decorator and of course, run a boutique and dress people up. You can even customize your own clothing! There is so much to do in this game that you will never get bored! 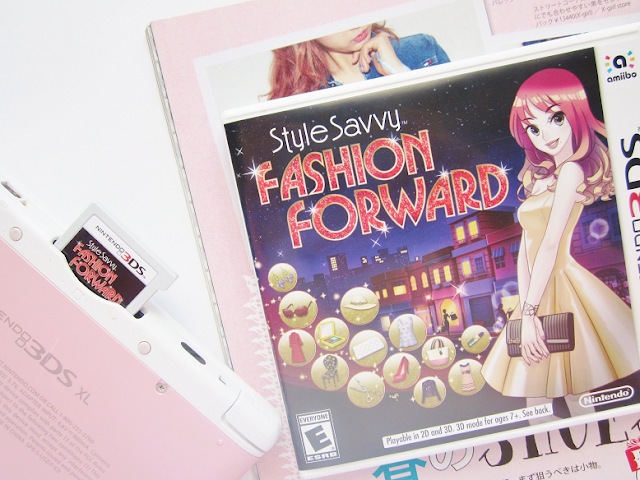 The game is similar to Style Savvy: Trendsetters but Fashion Forward has way more options! They have the same brands as they did in Trendsetters but they have more clothing from each brand and in more colors. Overall, I absolutely adore the game! I played it for 2 weeks straight trying to unlock as much as possible. I've unlocked most of the game but I still need to finish unlocking most of the clothing, the spring and winter colors and a few hairstyles. Other then that I'm not sure what else is in store for me. There are a few things that annoyed me with the game. First off, the game can be overwhelming at times. I mean you have so many choices! Sometimes when I start the game I don't know what to pick! Even after I pick a job I don't know what style or color I want after that. So if you are indecisive (like me) then this game can become overwhelming after a while. I also didn't like how they changed the fashion show. I love how they manged the fashion show in Style Savvy: Trendsetters because you got to choose the model, pick out her hairstyle, and makeup based on the style. In Fashion Forward you are the model, you choose the style and have to set up what hairstyle and makeup you want beforehand, which I don't like too much. After a while the game does become repetitive after you unlock most of the game, but that's a given with any game. Have you played any of the games in the Style Savvy series before? Thanks for sharing :-) I know a few people who would love this game so I'll definitely point them in the direction of this post!